Inter-Growth at 2014 APMP Conference Zohreh Yamin We are excited to announce that Inter-Growth was a part of the Association of Proposal Management Professionals (APMP) Bid & Proposal Con 2014 in Chicago. Zohreh Yamin, CEO, and Sondra Stauffacher, SVP, spoke on Wednesday, May 28. The session focused on helping organizational leaders build and keep a raving fan base after a bid is won. 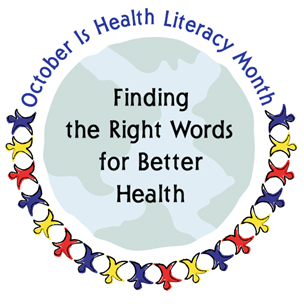 Inter-Growth Supports Health Literacy Month Health Literacy: the degree to which an individual has the capacity to obtain, communicate, process, and understand basic health information and services to make appropriate health decisions. (Patient Protection and Affordable Care Act of 2010, Title V) As part of working with our clients to provide the best possible service to health care consumers, Inter-Growth supports Health Literacy Month, which runs through October. Inter-Growth Expands Team of Experts Inter-Growth Announces the Addition of Two Veteran Healthcare Professionals: Ben Baxter and Pam Brotman Phoenix, Arizona March, 2013 Inter-Growth, a consulting company that supports health and human service organizations to grow, evolve and transform their organizations, announces the addition of two veteran healthcare professionals: Ben Baxter and Pamela (Pam) Brotman.